Creative Slump or Need Another Ham Sandwich? Can I do outside sales on the side without telling my current employer? I would like to have a full time ministry serving our Lord and defending my Christian faith. I have been struggling as an online cartoonist for nearly 8 years now. How can I narrow down my core message to the one thing I have to share with the world? 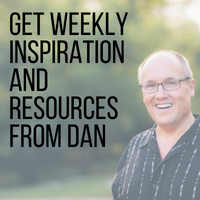 In this episode, Dan explains that even creative people need rigidity and structure within their schedule to achieve success in their chosen fields. He cites examples of various iconic figures of the past and details how they were militant about their daily regimen. Dan also points out what it means to have a free ministry—where you have the ability to help people no matter what you’re doing—and why finding the work you love begins with looking inward. You’ll also hear Dan respond to listener inquiries and share uplifting news stories around the world. [spp-timestamp time=”03:29″] – Webinar on Thursday, September 14th. Start the last quarter of the year right. 06:55 – Does God orchestrate these things to help us forget the petty differences that are dividing us? [spp-timestamp time=”09:46″] – A Chinese man celebrates the recovery of his $45,000 engagement ring by feeding 5,000 people! 19:00 – Nathan says, Can I do outside sales without telling my current employer? 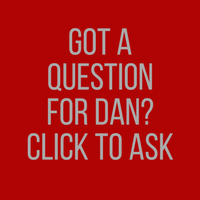 37:02 – Dean says, as a podiatrist, how do I develop an additional source of income? 43:33 – Aaron says, how can I narrow down my core message to the one thing that I want to share with the world? You can minister and help people no matter what you are doing. At the very start, 85% of the process of having finding your true career comes from looking inward, 15% is the application. As a professional in any area, you can leverage your knowledge and skills to expand on your work opportunities.